Ligaments are dense fibrous connective tissue which connect bone to bone. They provide stability to a given joint. The knee has four principal ligaments. The anterior cruciate ligament stabilizes the knee and prevents forward motion of the tibia (shin bone) in relation to the femur (thigh bone). The ACL originates from the femur (thigh bone) and is attached to the tibia . 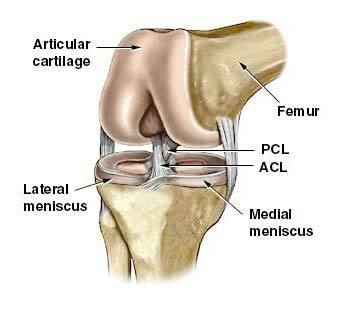 The ACL is the most commonly injured knee ligament and is very common in athletes. Injury occurs during sudden dislocation, torsion or hypter-extension of the knee. Diagnosis can be made clinically with either the anterior drawer test or Lachman test. The diagnosis is typically confirmed by MRI. Surgical options include repair of the damaged ligament vs complete reconstruction with a patient’s own tendon. Complications from surgery include infection, blood clots, technical failure, damage to muscles, tendons and associated ligaments and the risk of anesthesia. Mesenchymal stem cells have the ability to regenerate damaged ligaments. 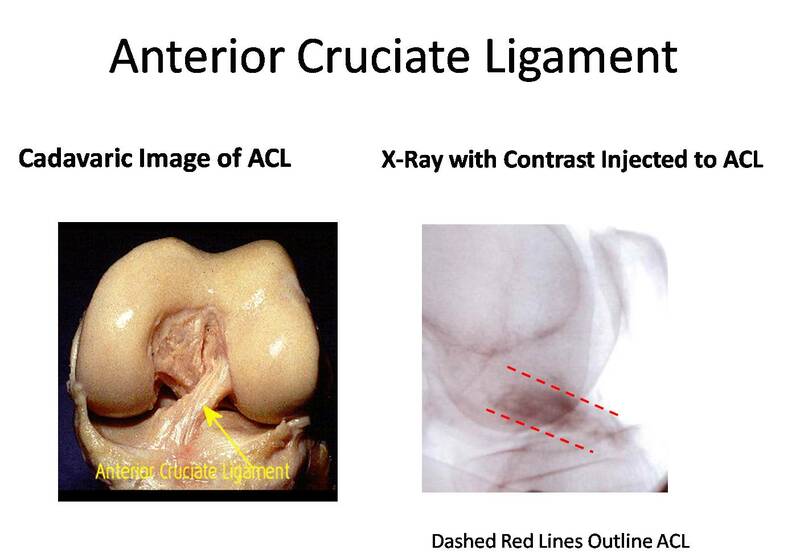 At Centeno-Schultz Clinic using the Regenexx procedure we are utilizing regenerative therapies to treat ACL injuries. These treatments include the injection of prolotherapy as well as autologous culture expanded mesenchymal stem cells directly into the ACL. 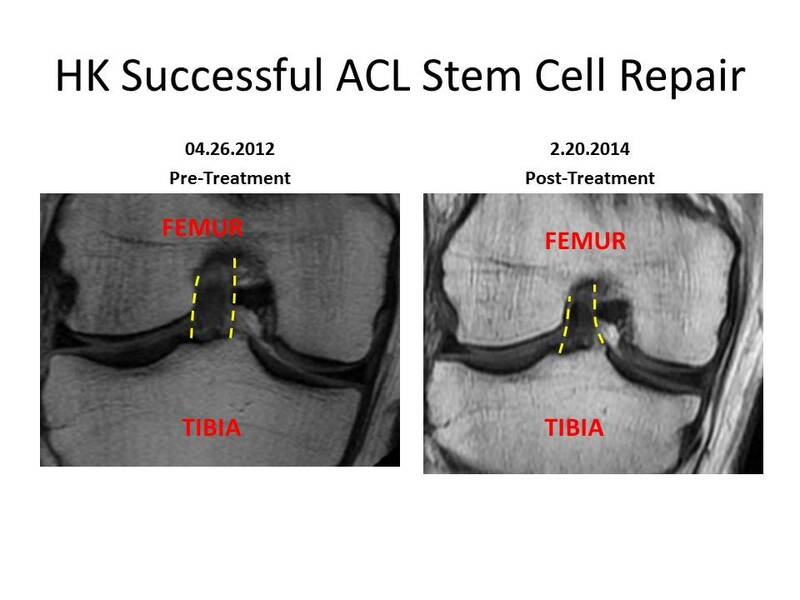 Below is a recent injection of stem cells into the ACL. 30 days post injection patient reports improved stability and decreased pain. NG is a 34 y/o patient who presented with a 5 year history of left knee pain which was constant in duration, 3/10 in severity, progressive in nature localized principally at the knee cap and deep within the joint. Her large German Shepard ran into her left knee 5 year earlier which resulted in onset of severe pain. Treatment included physical therapy, E-stimulation, steroid injections and one surgery( lateral release). Surgery unfortunately increased her pain and frustration. Postoperative MRI of the left knee was normal . NG was informed that no more therapy was indicated. Physical examination was significant for tenderness along the patellar tendon, slight limp, muscle tightness in her lumbar spine and tenderness and pain with palpation of her sacro-illace jont. Most significant however was the instability of her knee which her husband noted from across the room. 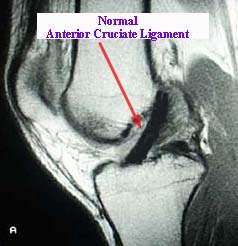 The anterior cruciate ligamant(ACL),was very loose suggestive of a tear. Review of the MRI demonstrated a chronic tear in the ACL. The anterior cruciate ligament is one of four major ligaments in the knee. It originates from the back portion of the thigh bone( femur) and attaches to the front portion of the shin bone ( tibia). It prevents forward movement of the tibia in relation to the femur. It provides critical stability to the knee. 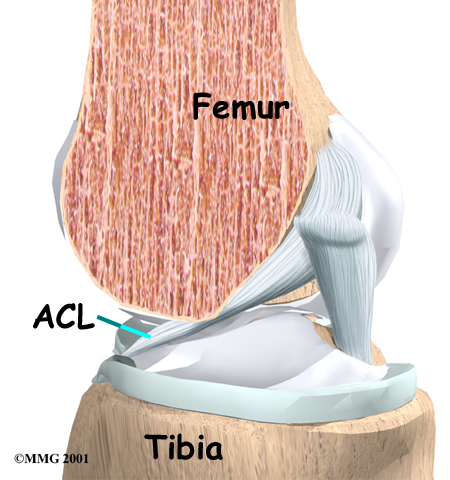 Tears of injury to the ACL result in instability of the joint with resultant pain. There is no substitute for a complete physical examination. MRI’s alone can not make a diagnosis. Putting the physical findings together with MRI results is the standard of care at The Centeno-Schultz Clinic. 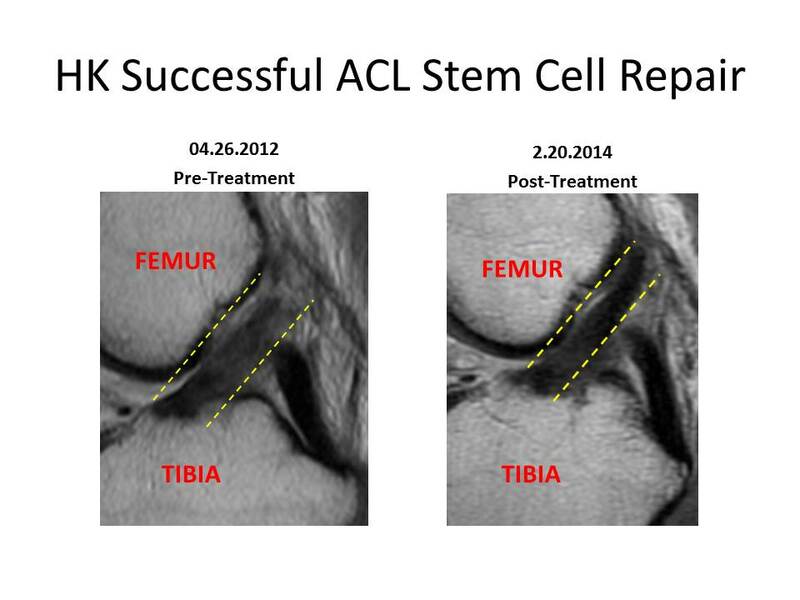 Utilizing a patient’s own stem cells, repair of a partial tear of the ACL is possible. The Regenexx procedure affords patients the opportunity to use their own mesenchymal stem cells to treat common orthopedic conditions.